Order in multiples of 250 to avoid paying box splitting cost of £5. 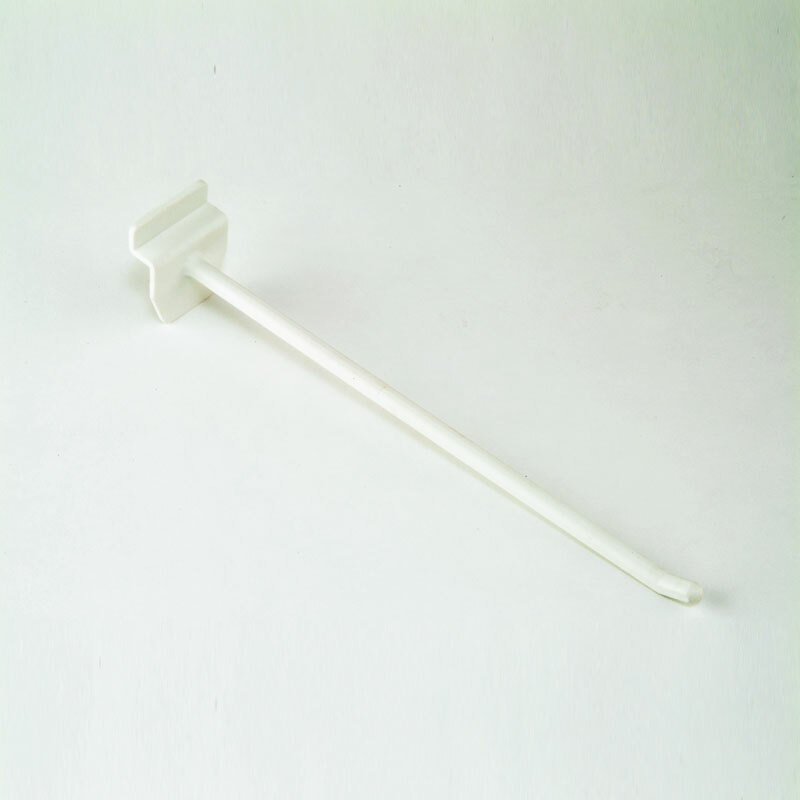 200mm Plastic Single Prong peg euro hooks are manufactured from hard wearing plastic. Perfect for displaying a variety of retail products. Especially made for use on slatboard, designed to be position in seconds and allows you to save valuable space on the shop floor. HIGH QUALITY - Made from high-quality plastic, these pegs are hard-wearing and long-lasting. FINISH - The modern finish enhances both your products and display. available in black, cream, grey and white.